As marketers we love using the latest and greatest tools, and we know the best spots and places to advertise, but budget realities limit how much we can splurge and lead us to make more sensible decisions. Good marketing deals are hard to come by, but it’s possible to run a marketing department on a budget and still be effective. You’d think that free and cheap does not fit in the world of big spending, but hear us out. We have put together a list of 39 low budget marketing ideas to help you squeeze every drop of exposure and conversion. Video content’s biggest misconception is that it’s too expensive for smaller companies. Marketers in smaller agencies tend to shy away and not even consider video content because they assume it’s expensive. This is not always the case however. Today’s smartphone cameras can do a pretty decent job of filming a video that’s good quality if you have good lighting. Since video content is mostly filmed for the internet, a smartphone can actually have benefits due to shareability and file size. Moreover, companies like moment make amazing lenses for phones in order to improve the quality of video. Further to filming on your phone, there are a myriad of available tools that allow you to edit on the phone itself. Our personal favourite is Filmic Pro – a really powerful video shooting software that gives you great control over your phone camera. If you have an iPhone, couple that with iMovie, and your editing is sorted. Wistia has a great tutorial on how to shoot professional looking videos on your iPhone! Avoid hosting your video content on your website as it will slow your site down, opt for YouTube instead (or Vimeo for a more niche artistic platform). 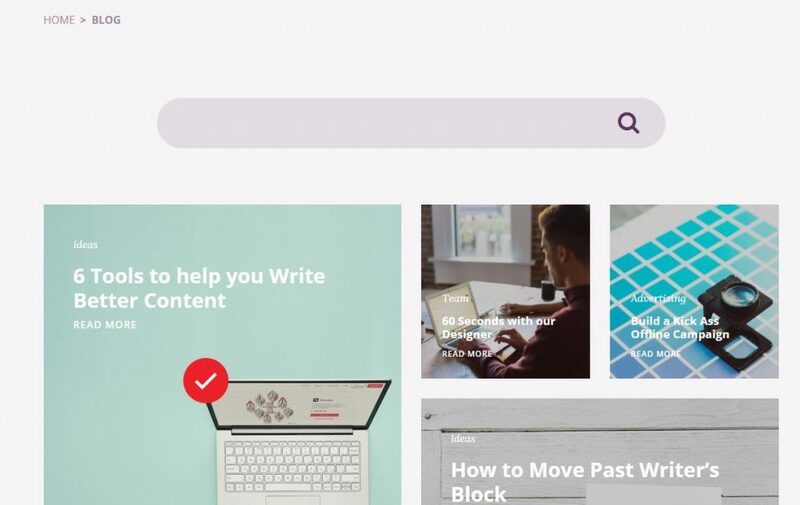 Not only is YouTube the largest video sharing platform in the world, it’s also the second largest search engine in the world (only behind YouTube), and it provides you with all the tools for embedding your content and sharing it wherever you want. Want to step up your video game? Prepare a Facebook live video, and broadcast to your followers with live interaction. Use either your phone directly for the easiest experience, or give OBS Studio a shot. OBS Studio is a free open source broadcasting software that is as powerful as any paid streaming software. Seriously don’t bother with any paid live broadcasting software, OBS is all you will ever need even if you have bottomless pockets. Here’s a great resource to get started with Facebook streaming on OBS. One of the channels that’s increasing in streaming popularity is Twitch. It primarily started out as a gaming platform, but many channels and streamers are opting to using it as an alternative to YouTube. Any of the big three social streaming platforms (Facebook, YouTube, Twitch) is a great option nonetheless – make sure you’re present where your audience is. Create business accounts and get on the big social media platforms and any that are niche to your industry. Social media is a great place to reach out to your customers for free and with low cost advertising. Twitter, Facebook & Instagram are all relatively cheap to run ads on and you can hyper-target these ads to make sure you only reach the people who really care about your product, meaning you get a better return on your ad spend. 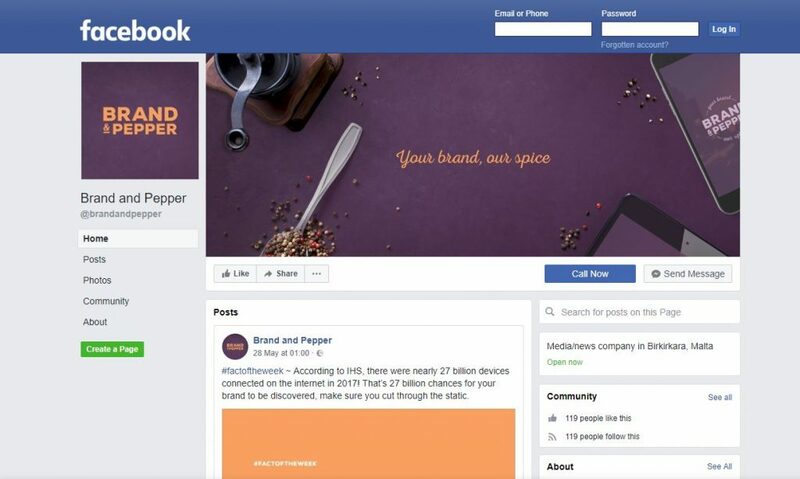 In addition, social media gives your customers another way to communicate with your brand and for your brand to communicate with your customers. Use social media to show your human side and share relevant content. Infographics are powerful marketing tools. They break information and facts down into visual and attractive data. They are easy to digest and fun to share. Infographics are an awesome way to drive up referral rate and backlinks. If your data and infographic is top quality, there is a high chance someone will use it in their article and reference back to you. They can be a bit of a challenge to create if you don’t have an in-house designer, but there are plenty of apps out there, and video tutorials on YouTube to help you get started. Word of mouth is one of the most powerful forms of advertising and can be highly cost effective. If your product did a great job at fixing someone’s needs, and they go and tell their friends and family, you are likely to acquire new customers. If you incentivise these happy customers, they are more likely to tell even more people and persuade their friends and family to become your customers. Even if you give a 20% discount on their next purchase to the referrer and the person who was referred, you don’t lose too much from your profit margin, and you are more than likely to get a large volume of referrals and new customers as a result. If you have an online store, there are loads of plugins available to help implement a referral programme. One of our personal favourites is Refer A Friend by WPGens. It has so many customisable features and you can simply plug and play. 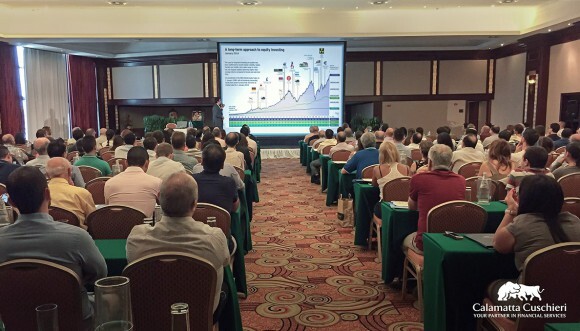 Affiliates remove a lot of the stress and pressure from business development. By incentivising bloggers, YouTubers and other content creators to link back to your website and products, you can expand your reach further on a smaller budget. 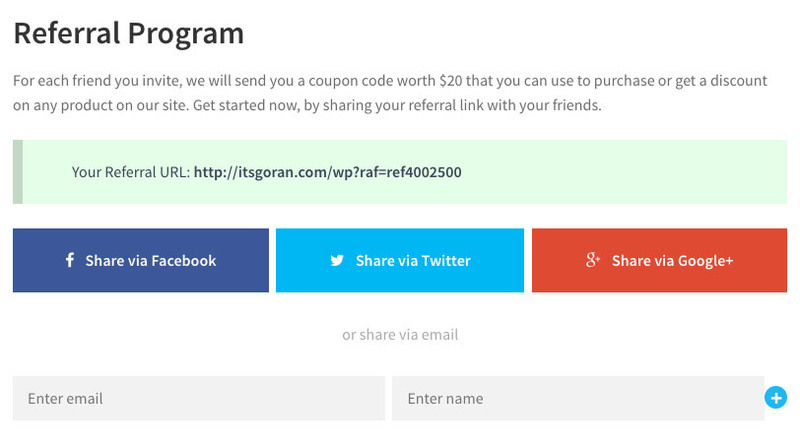 In exchange for linking to your products, affiliates get a percentage of the sales as commission. A study on Black Friday & Cyber Monday in 2016 discovered that affiliate merchants had a 45.7% increase in new customers compared to those without. If you have digital products, consider being a bit more generous with your commission as there are less costs involved for your business, and you are more likely to get more people wanting to become an affiliate for your products. By carefully selecting your affiliates, you can target your specific niche and see a larger number of sales. 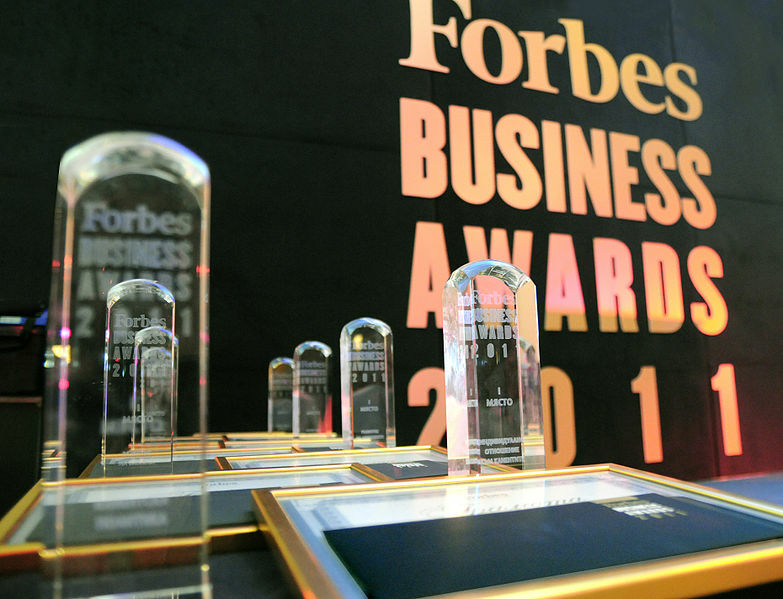 Most industries have business awards you can enter, some free of charge! Even if you get listed as a runner up, these awards look great on your social media, website and marketing material. Following your win, you might even get some press attention, which is undoubtedly a great thing. Just by competing, filling out the application forms helps you to identify your key successes and provides you with a better platform to truly sell your business to clients. 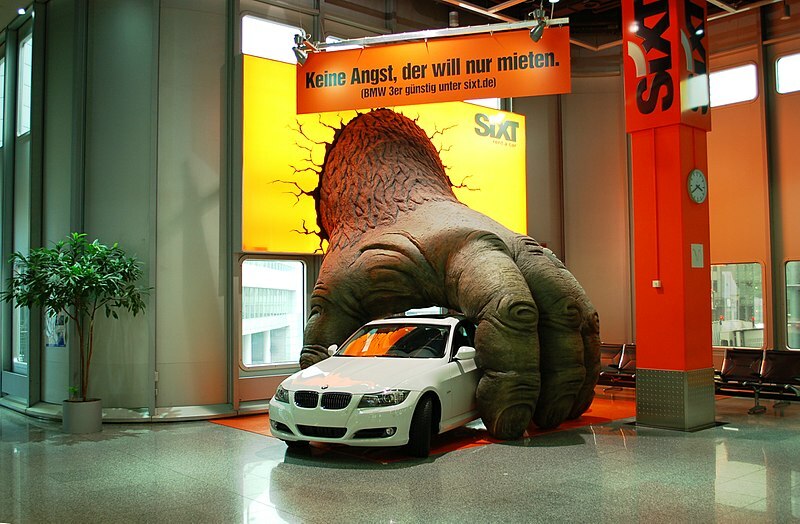 Guerrilla marketing isn’t necessarily the first thing people think of when looking for a low budget marketing campaign. With a large focus on creative, these low cost campaigns have been employed the world over by huge names, such as Volkswagen, Unicef, Mercedes and Coke. The very best guerrilla marketing campaigns make passers-by stop and double take, take out their phones and share it on social media. The more creative you get, the better the results. Stuck for ideas? 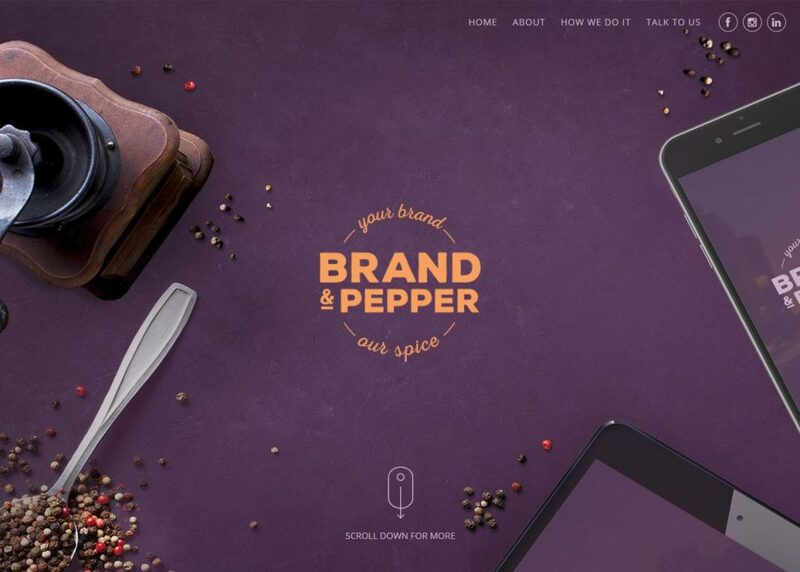 Here are 122 awesome examples to draw some inspiration! 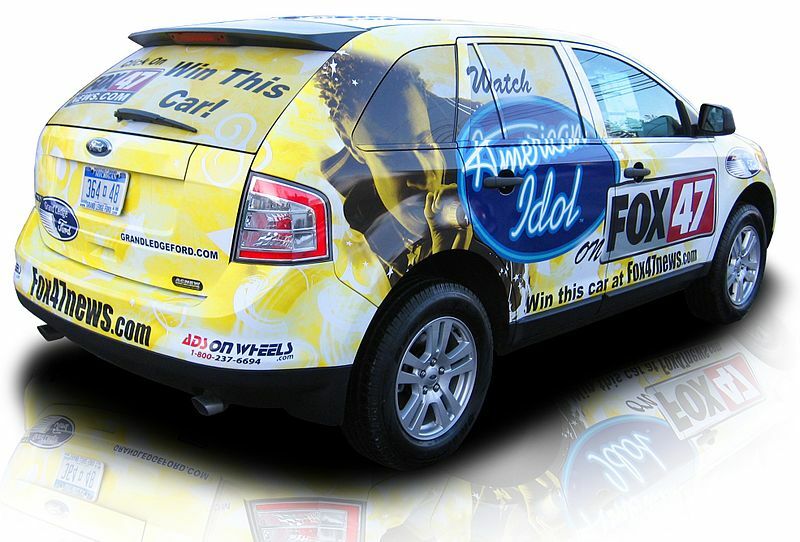 What better way to advertise than to turn your car into a moving billboard! Whilst full car wraps can get expensive, they are worth the investment. Think about where you park your car every day and the routes you drive. Do many people see your car? If the answer is yes, think about the daily number of impressions you are missing out on. Just make sure you follow the rules of the roads! Even if you are a small business, a website gives your business an online home and a chance to show up in local searches, which is critical for growing your business in this day and age. Websites don’t have to be big and complex, if you are on a small budget, you can get a simple 1 page site that has key business information, product overview, opening hours and a way to get in touch with you. 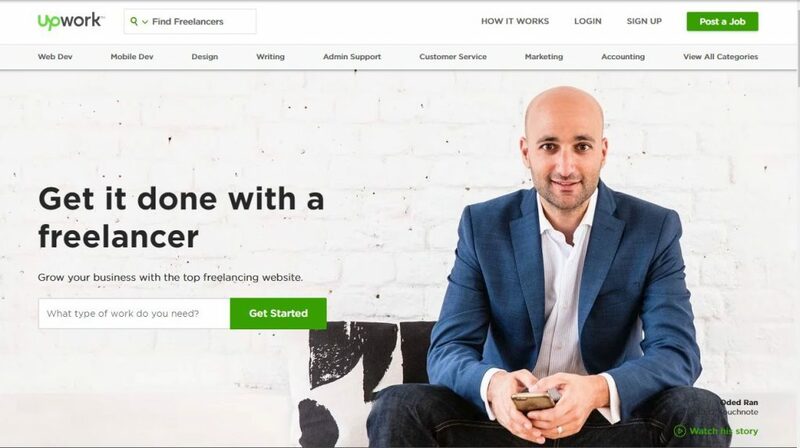 If you don’t have the time or technical skills, you can hire an agency, hire a freelancer from sites such as Fiverr or Upwork, or use a WYSIWYG website builder like Wix or SquareSpace. Creating valuable content to upload frequently to your blog can help to create a bigger audience for your products or services. Try to keep content relevant and 10X better, otherwise there is no real point in posting it. Content your readers can relate to and will find useful, such as articles like this, are great as they are shareable and informative. If you have a blog section on your website, great! Start posting in there. If you don’t, have a look at setting one up on WordPress. It’s the perfect platform to host websites and blogs. Giving away your product as a free trial, or a freemium, is always a great idea. It helps customers sample your products or services without risking their money. When you give your product free of charge to a charity however, you are not only opening yourselves to a wealth of positive feedback from the community, but you are also helping a good cause. So many companies do CSR activities, but they only go as far as raising awareness. By giving away your product or service to a charity, you help the charity in a much deeper way. 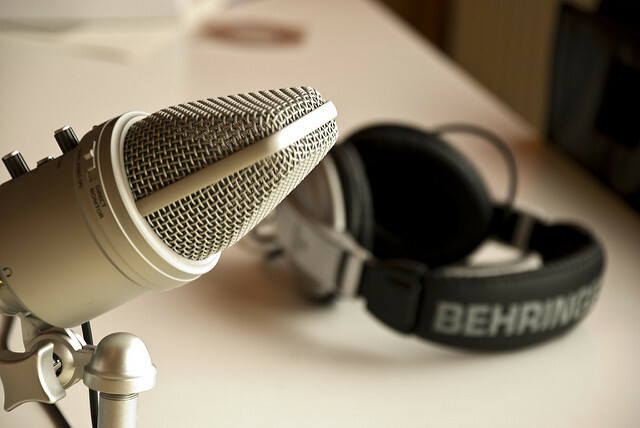 Podcasts are far from dead, and are actually increasing in popularity. Originating from audioblogging back in the 1980s, it soon caught on with the invention of the iPod. Since then, it has gone from strength to strength, with more and more audio outlets providing access to a myriad of podcasts. They are a great way to show your audience how knowledgeable you are about your field, and a wonderful way to build friends in the community with guest speakers. You can leverage your audience to get guests to appear in your podcast, and you can do the same. This further helps to strengthen your brand reputation. Podcasting isn’t overly expensive to start doing either. The easiest way to start is to download the Anchor app on your smartphone. There are loads of tutorials to get you started, and you can submit your podcast to Apple Podcasts (formerly iTunes), Spotify and, well, a nearly never ending list of podcast directories. Podcast Fast Track create a list every year of the top places your podcast MUST be on. It is a pretty useful list and includes instructions on how to list your podcast with each one! Check it out! Whilst you will need to spring for a prize, a contest is a great way to drum up new potential leads. You can run a contest on your social media platforms, simply get users to like and share your post, or to post themselves, using your special hashtag and then you randomly select a winner. There are so many options of how you can run a contest for free on your social media, you are almost spoilt for choice. Alternatively, you can try a paid solution, like rafflecopter. It is super easy to use and quick to set up with a plethora of templates available. We covered this one recently in fact, by perfecting your email signature you can open the door to new business and help make your emails more trustworthy. By using relevant images, key information and a link to your social media channels, you can boost your following and reputation with ease. A good signature compliments an equally good email body copy. Don’t send one without the other! What better way to show off your skills and industry knowledge than by sharing it with others? Print flyers and post on your social media accounts about your event or workshop and invite the masses. Most noticeboards won’t allow you to post business advertisements, but they are more likely to let you advertise an educational class or event. 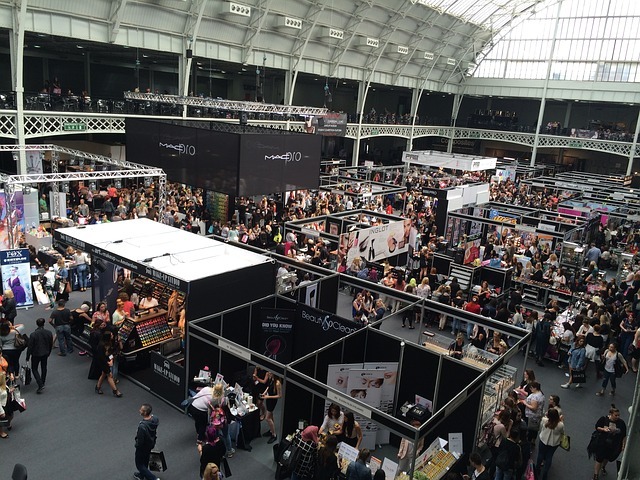 Attending a trade show can help you network and grow your pool of leads, as well as discover new opportunities for your business to work in conjunction with another. Your services or products could help another cut costs by thousands, and in return, make you thousands. Make sure you keep your business cards updated with your latest information, as when you give them out, you don’t want people not to be able to get in touch with you. Spend a little bit of time making a really nice business card template, even consider hiring a graphic designer or agency to help, then make tweaks and changes as and when you need. This shows you take the time to stay up to date, and will show your business in a much better light. Even if you just update the style as design trends change. Humans make a decision within 6 seconds, so it’s vital you use those initial 6 seconds wisely. We recommend you make an elevator pitch and learn it by heart. This way, you will be prepared to sell yourself in 6 seconds at the drop of a hat. After all, you never know when the opportunity to sell your products or services will arise. Whether you are a small business or a large conglomerate, you need a marketing plan, and to stick to it. A marketing plan helps you to prepare for the year and keep on top of events and use them to your advantage, giving you maximum leverage and potential for enhanced campaign ROI. Not only does it help you to stay organised, but it helps you to save money. If you plan your campaigns in advance and stick to your plan, you can buy spots in the media at cheaper rates. 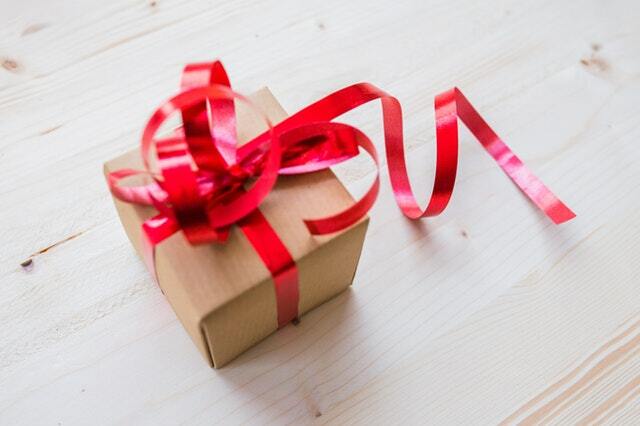 A great way to get customers to come back and check out your latest products, and hopefully buy something, is to send them a free gift out of the blue. People love free gifts, and there is a high chance these people will take a photo and share it on their social media, giving you more visibility online. People love good customer service, but they love great customer service even more. Whilst you probably already have a solid customer service plan in place, try going the extra mile. Whether you send personalised, human written abandoned cart emails to try and understand why someone abandoned, and offer solutions, or offer a discount for a long wait time, try and identify ways to make your customer service make the customers feel like the king or queen of the world. Everyone loves to feel special, and if you make your customers feel special, there is a good chance they will be more willing to part with their cash. Getting involved on forums is a great way to show your customers and the world that you really know your stuff. Reddit is an amazing place to start as there is a subreddit for pretty much everything you can think about. This helps you to really reach out to your niche. Building your reputation, spreading the good word about your brand and plopping backlinks through the internet is as simple as helping someone with their forum question. Reaching out to communities and groups on social media, like Facebook is also a great place to build your brand. By helping people with their questions, you will start increasing your brand profile. Once you have mastered groups and built yourself a reputation, you can even start your own group! SEO is a major part of helping your online business get found, but people are often put off as they think it is super complicated. Whilst that is partly true, there are little bits here and there that you can do with very little knowledge of SEO. For example, ensuring you compress images using a plugin like tinypng, and writing good page titles that are keyword rich can help boost your page discovery. Google’s free keyword planning tool helps you identify keywords that will help your content rank better for SEO. If you are on a low budget, hiring and SEO expert could be a little expensive. There are many tips, tricks and tutorials on how to implement core changes online though if you have the time to invest. The results are well worth it. Here’s a great guide from MOZ to start your SEO. We aren’t saying join up with a direct competitor, but someone whose business complements yours and vice versa. Use these partnerships to offer discounts on your products if bought in conjunction with one of the other businesses. This helps you both to grow your sales with a little cross selling. You can tap into one another’s audiences and databases. If you partner with someone in a whole new industry, you are gaining access to a whole new niche! Be prepared for extra traffic to your website or store! This one goes without saying really. A good marketing team is always looking for the next sale, even when sales are strong. You never know when the momentum will slow down, so make sure you are constantly building the sales pipeline. Always be looking to network, even if you simply go to the store or for a meal. Try and identify ways you can help their business with your product or service. Keep a handful of business cards in your phone case or wallet, this will ensure you always have one to hand when you are impromptu networking. Events like parties, weddings and conferences are also a great place to meet new people who can enhance your business network. People respond to testimonials and reviews, so make sure you collect them from your customers. Automate an email to go to customers a week after they have ordered from you, this gives them plenty of time to test drive your product or service and leave a genuinely good testimonial. Display them proudly on your website and marketing material, and always make sure you respond to them, whether it be good or bad. If it’s negative, try and each out to them privately via email, and let them know you are working on providing a solution. This will win you a lot of favours and coincides with the good customer service point! Why waste time doing tasks manually when you can automate? Use your new found time to be more productive in other areas. Hootsuite is a great tool for automating your social media posts. Simply spend an hour or so setting them up every month and you don’t have to worry. Simply monitor comments and messages. This frees up extra time to network more! You can even automate replies on Facebook. Whilst these can get complex to set up, there are great demos on YouTube that help cut costs of hiring an expert. 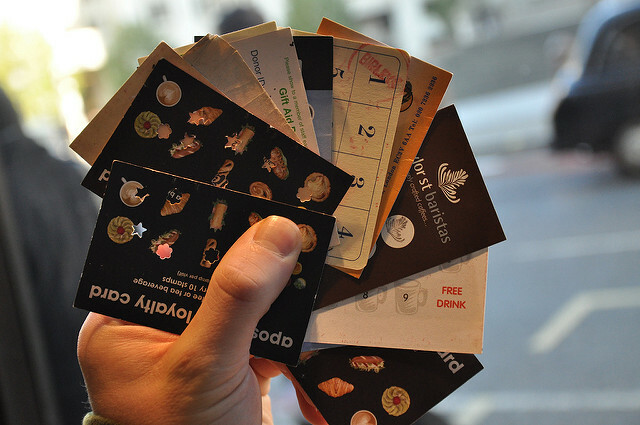 Loyalty programmes are a great way to get your customers coming back and using your business again. They can collect points per purchase, and for selected actions, such as signing up to your blog, or referring a friend for example. If you have an e-commerce website, you can use one of the many plugins available to instantly add a loyalty scheme to your website, setting the points per action and how to redeem the points. These are a great way to leverage customers into returning and require little to no effort or knowledge of coding to setup and implement. A lot of hosting providers offer PPC credits when you sign up for a year of hosting with them. Use these free credits to subsidise your very own PPC campaign, whether it’s on Google Ads or Facebook. PPC campaigns are a great way to hyper-target your niche and user base with ads, but it can get costly, so take advantage of these free credits. 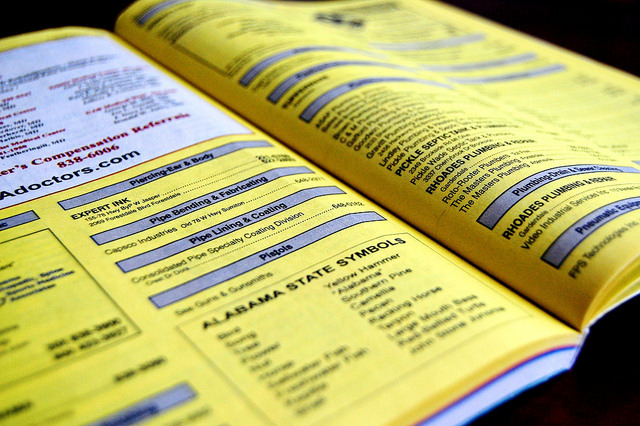 Business directories are a great way to get your business seen, especially for local searches. They will boost your SEO, and many of these directories have a large user base. If you are looking to get more local business, these are a great place to start. Whilst it can be time consuming to keep applying and filling out the same forms over and over again, it is worth the time. HubSpot have a pretty definitive list of the top 50 business directories you probably should join. Emails are often overlooked by start-ups and smaller business, but a well-crafted email can change a business’s fortunes. Emails give an amazing ROI, roughly $44 to every $1 spent! People are more likely to read an email than a social media post. There are great automated plugins for your website, such as MailChimp or Mail Jet. These will automatically take email leads and place them into organised lists, making email campaigns simple and easy. Once you have built your email list, it’s time to send an email campaign. If you use one of the tools mentioned above, they come with loads of premade templates to help you. Simply add in your own imagery and content, and fire away. Platforms like Upwork & Fiverr are highly underrated places to market your business. These platforms are becoming ever more popular as it is cheaper to hire a freelancer than go to a big agency most of the time. It can take a bit of time at the start to build your profile and reputation, but once you have a handful of good reviews, you will be receiving orders frequently. Influencers are a great way to expand your reach, as they already have a large network of viewers. By giving them a free demo of your product, there is a good chance they will review it and publish the review for all of their viewers to see. This is a great way to help people understand your product and to create interest, even more so if you pick influencers who are already within your niche. 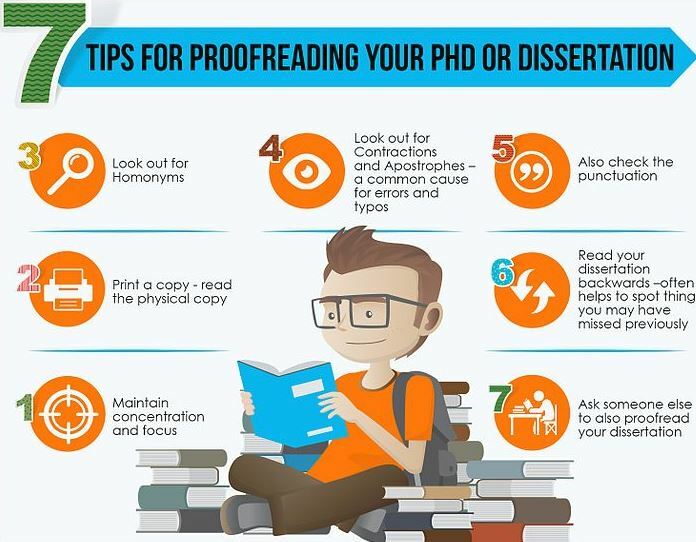 This may seem slightly obvious, but it is highly important to do. 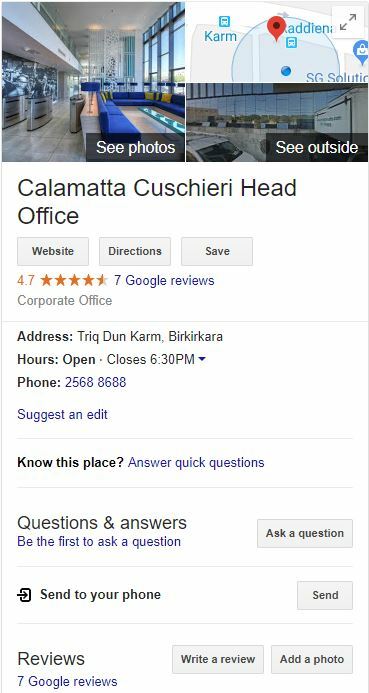 Not only working on getting your business onto the first page of Google, but also setting up a Google My Business Page. This helps to populate the search result that displays information on the right hand side of a google search. It provides key information for your customers, such as opening hours and how busy your store usually is at certain times. It takes a bit of time to set up, but is well worth the effort. Online reviews are a massive part of business these days. More and more people are looking at and reading reviews to make their decisions than ever before. 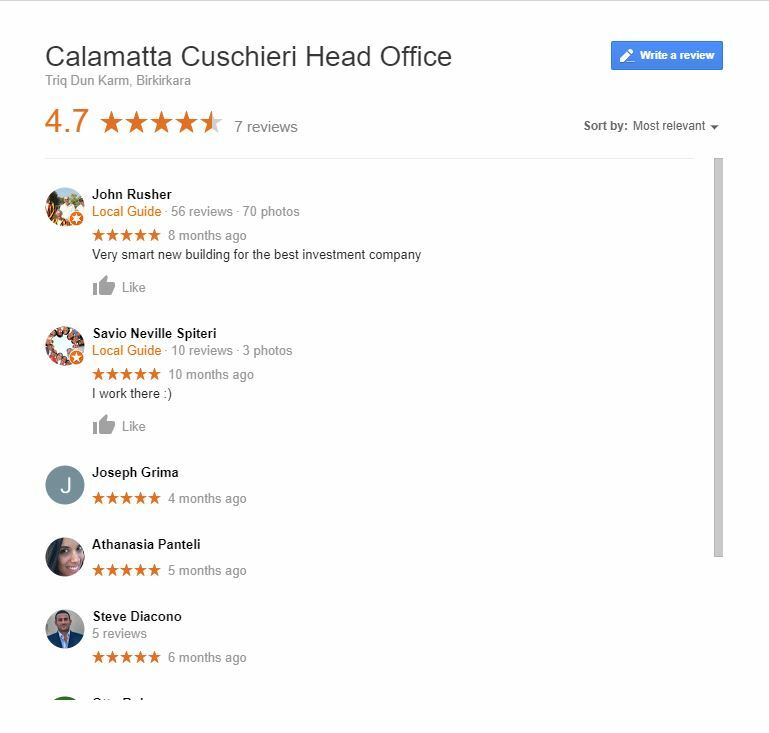 If you do a simple google search for your industry in your area, there will be a whole host of companies pop up, and there will be lots of reviews available, right on the front page. If you reply to your reviews it gives you a chance to thank people for their good reviews, and try to fix the negative ones. Never respond in a negative way or attack the person who posted the review. Always be amicable and friendly. This one is a bit similar to a referral programme, however this is more of a goodwill gesture rather than for something in return. Ask your contacts, customers and friends if they would consider referring you to someone in their network and so on. This is a free way to spread the word about your business, and people love to help each other out. You have spent all that time networking, use it to your advantage. After someone has had your product or been using your service for a few weeks, send them an email asking them for some feedback. You can use this feedback to help improve your service and to find more customers. Ask a few questions like “Would you recommend this product to a friend?” and “Who do you think would benefit from this product?”. These questions help you to further improve your offering and to improve marketing efforts. It also gives the customer chance to let you know how they really feel about your product, and this can double up as a testimonial. More and more companies are spending more on marketing every month. And this spend is only going to increase. Whilst paid methods can be highly effective, that doesn’t mean low cost solutions aren’t just as good, or even better. Building a solid marketing campaign to grow and boost your business isn’t out of reach, even for businesses with a lower budget. If you implement these low cost solutions effectively, you stand a great chance to succeed.